A TRIP south of the border is on the cards for in-form pacer Franco Totem. Thrilled with Franco Totem’s progress – which includes completing a hat-trick at Albion Park – trainer Darrel Graham is considering a New South Wales campaign with the gelding. To be more specific, Graham believes Franco Totem is capable of capturing an M0 around the 1400-metre circuit. “For now I will just run him through the grades and see how he goes,” Graham said. 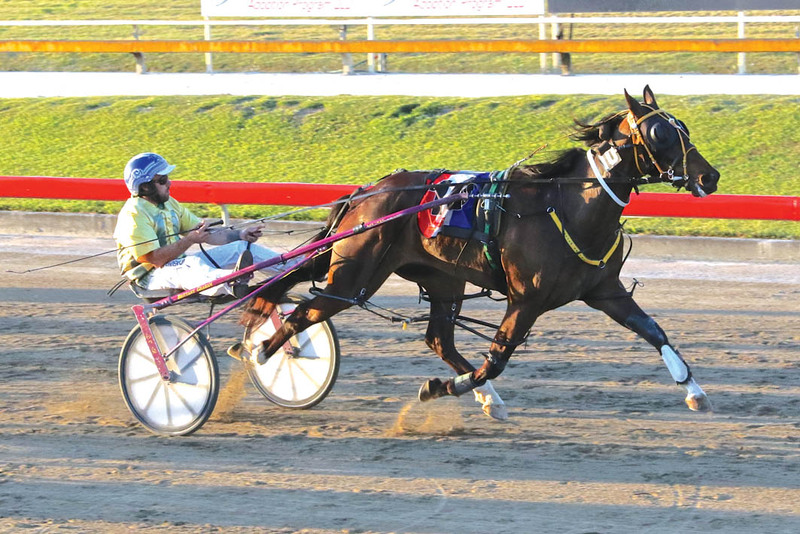 “If he keeps going well enough at some stage I may take him to Menangle for an M0. Driven by Adam Sanderson, Franco Totem was eased away from the outside of the front row before being sent forward during the middle stages to take the lead from Vader. Striding clear along the home stretch, the son of Changeover was untouched to score by 11-and-a-half metres from Lenny The Legend, with Ima Top Tycoon two-and-a-half metres away in 1:54.6 over 1660 metres. “He’s going very well and can hopefully keep it going as he gets up in grade,” Graham said. “He is a nice horse without being a superstar.